It's Changeover season and we are gearing up to hand over the reigns! 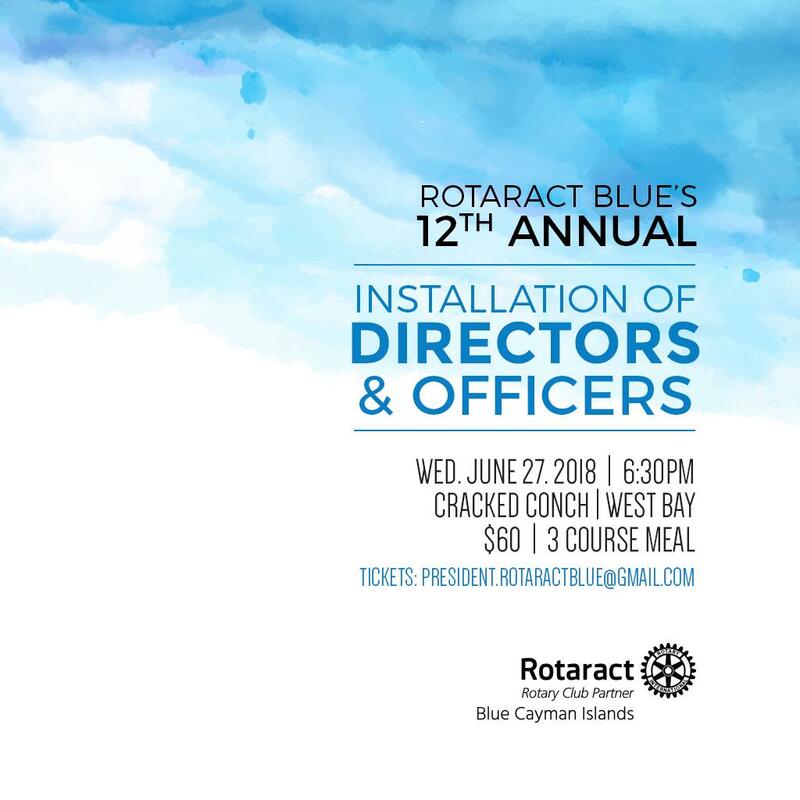 On behalf of incoming President Rene Dixon and her Board of Directors, we invite you to join us for Rotaract Blue's Annual Changeover on Wednesday, 27 June 2018 | 6:30PM at the Cracked Conch restaurant. We welcome you to cocktail hour with a glass of bubbles followed by dinner as we celebrate outgoing President Francesca and her board, as well as the beginning of a new year.